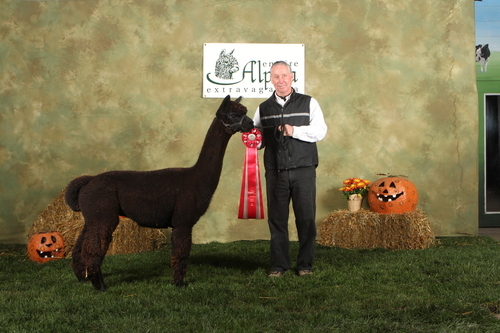 Outback Alpacas Ezekiel is a Reserve Champion at the NAAS, a Blue Ribbon winner at the Alpaca Maturity, a Blue Ribbon winner at the Empire Alpaca Show and took 1st place at the Fleece Spin-off competition at the Western Alpaca Show as well. 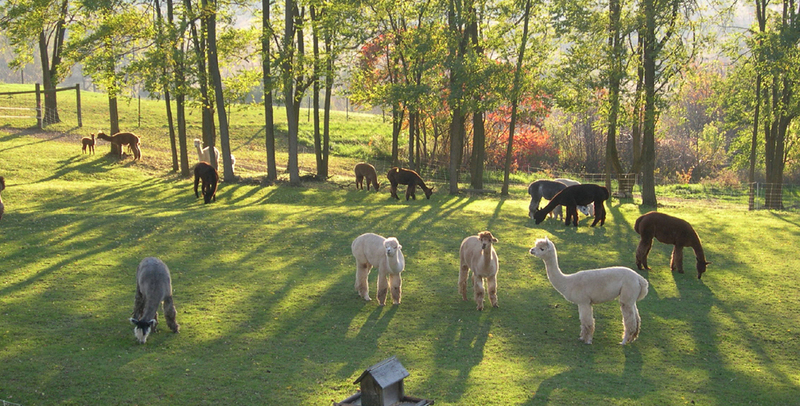 Cheyenne is a bay black female that has just had her 4th cria, Cheyenne is a great mom that has a very easy time with her births. 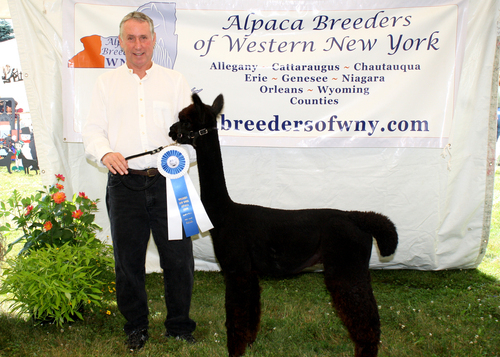 Cheyenne's 3rd cria, Half Moon June a white female out of Antonio's Alianza Salute, had an IgG count of over 3000. Half Moon June placed 1st in a very competitive class at the 2009 ABWNY show. Cheyenne is also the mother of our striking True Black H.Ben Nevis. Ben Nevis recently took a blue ribbon at the 2011 ABWNY show and a Red Ribbon at the 2013 Empire Extravaganxz..